A big bag featuring dozens of prancing poodles! 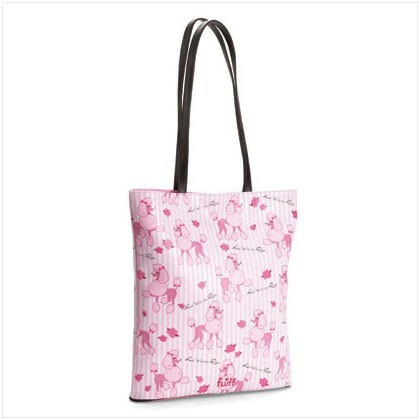 Made of sturdy vinyl, this bag is as hard-working as it is pink and pretty. Includes a zipped pocket inside. 14" x 3 1/4" x 15" high.